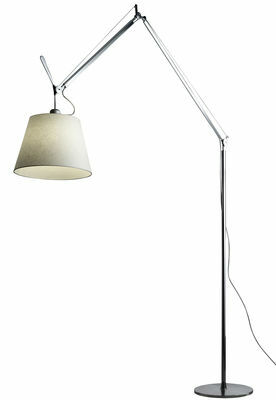 The new LED version of the famous giant floor lamp by Artemide. 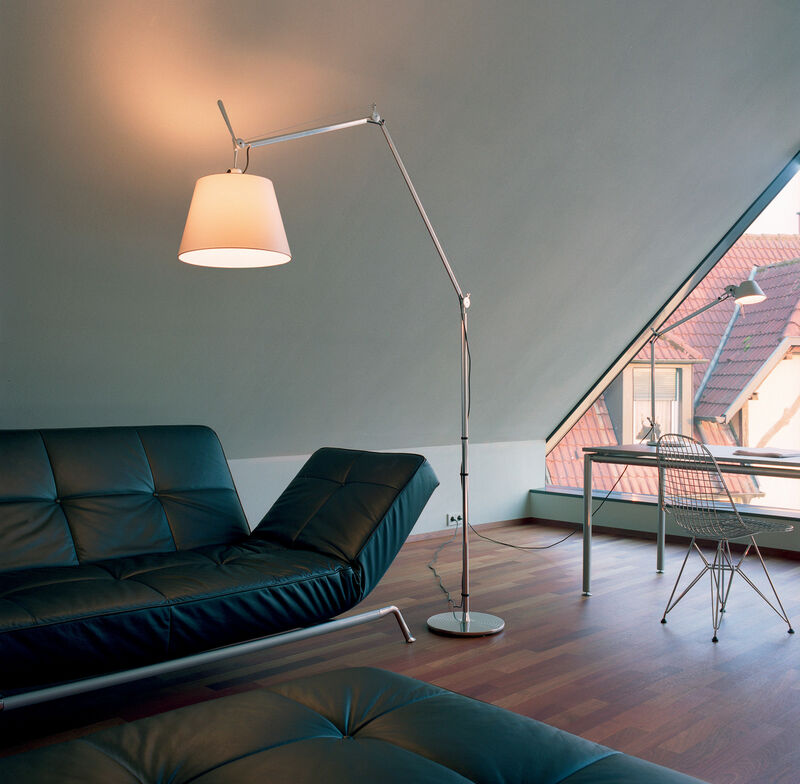 Polished aluminium base and cantilevered arms, diffuser in beige parchment paper or black fabric on a plastic frame. Joints in polished aluminium. Diffuser adjustable in all directions. System of spring balancing.